Your kid doesn’t want to be a monster for Halloween--he wants to be the monster. Godzilla was the ultimate, original creature of horror and dressing as his giant lizard self is a timeless choice no child will regret. Though he’s not really a " terrifying force of nature," your kid does have his moments where he seems capable of terrorizing whole cities for hours on end. Help him get out all of that extra energy by channeling it into his Halloween costume. All of his friends will take one look at him in this Godzilla Child Mask and yell, “Run for your life! It's Godzilla!” And that will please your little monster to no end! 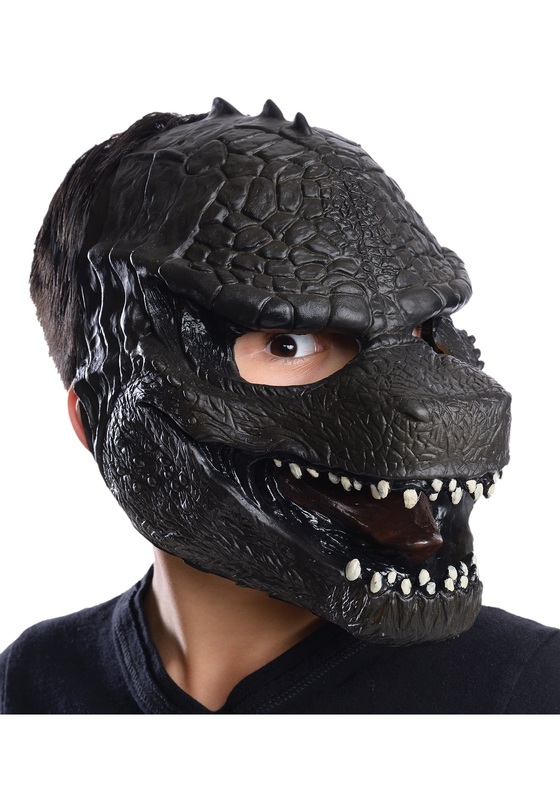 This latex mask is made to look like just the reptilian beast from the 2014 Godzilla movie. Let him wreak havoc today dressed as his favorite demonic lizard; tomorrow he’ll be back to his usual self!